Extreame Savings! 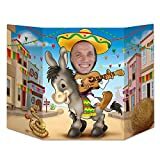 Up to 47% off on Puzzles at Saltarines Quito, Page 4. Top brands include Little Treasures, Amscan, Beistle, & Westminster. Hurry! Limited time offers. Offers valid only while supplies last. Little Treasures 6 Pack Party Favors Magic Speed Cube, Black Stickered Puzzle Cube Great Brain Training Game, 3X3 Easy Turning and Smooth Play, Educational Toy Logical Fun. 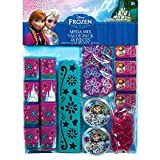 Amscan Disney Frozen Birthday Favour Toys and Prize Giveaway (48 Piece), Multi Color, 11 1/2" x 9"
Beistl 57977 Fiesta Photo Prop, 3' 1" x 25"